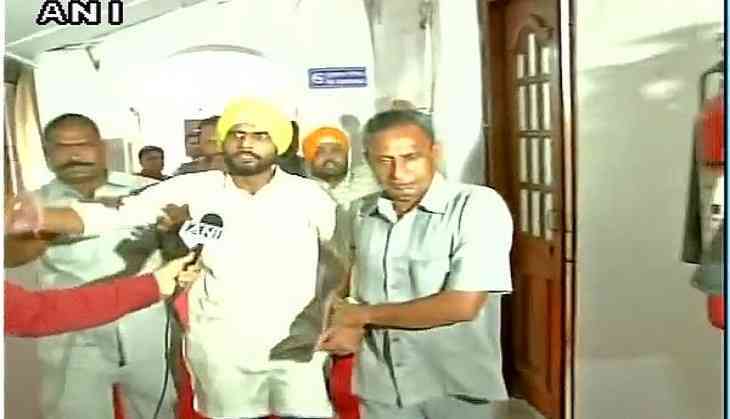 Ruckus was created inside the Delhi Assembly by two men claiming to be Aam Aadmi Party (AAP) workers. The two men levelling allegations against Delhi Health Minister Satyendra Jain created an uproar in the state assembly. Speaker Ram Niwas Goel ordered their arrest as a scuffle broke out allegedly between AAP supporters and the protesters. The alleged miscreants were later detained by the Delhi police. The incident took place while the Delhi Assembly was in session. The two men, stood up and started shouting slogans against Jain, calling him corrupt, and threw bits of paper into the hall where the legislators were sitting. Earlier in May, the Delhi assembly had witnessed a rough session when rebel AAP leader Kapil Mishra was roughed up by AAP MLAs.